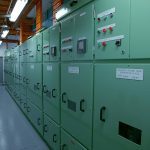 The Kent Telecommunications facility recently experienced an upgrade of electrical infrastructure with a second substation and fully incorporated electrical reticulation system. 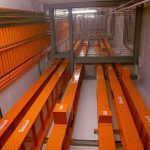 The installation within this existing building was no easy feat and with sheer determination and precision co-ordination of existing and new services Ryan Wilks completed yet another professional and outstanding project. 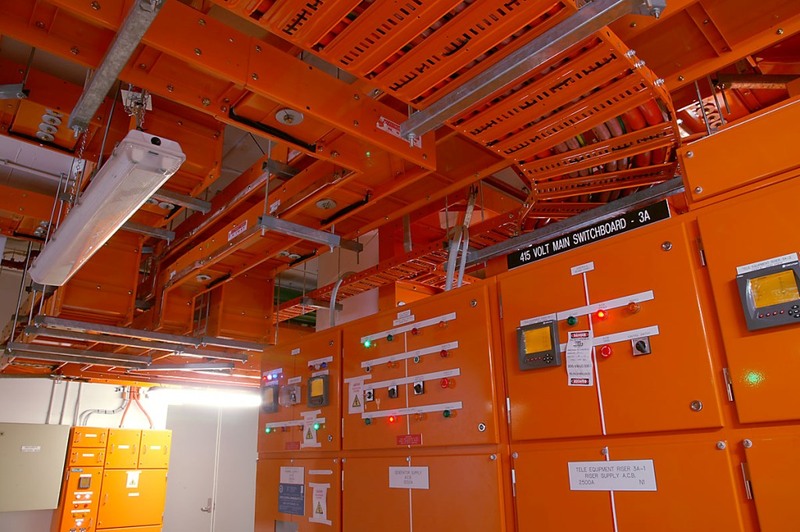 The project involved the supply and installation of over 1.8 kilometers of electrical busways which were stratically intergrated into the existing building. The total weight of the new busway being 160,000 kilograms. 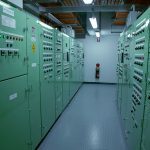 With the second substation being introduced four new 4000 amp main switchboards were also installed within the mezzanine level of the facility. 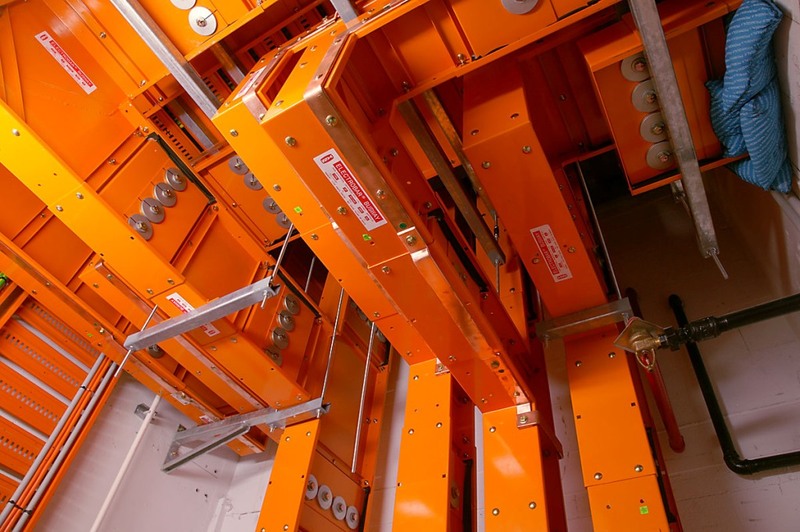 The design was based around a parallel redundancy with A and B plane supplies rising throughout the 16 story building. 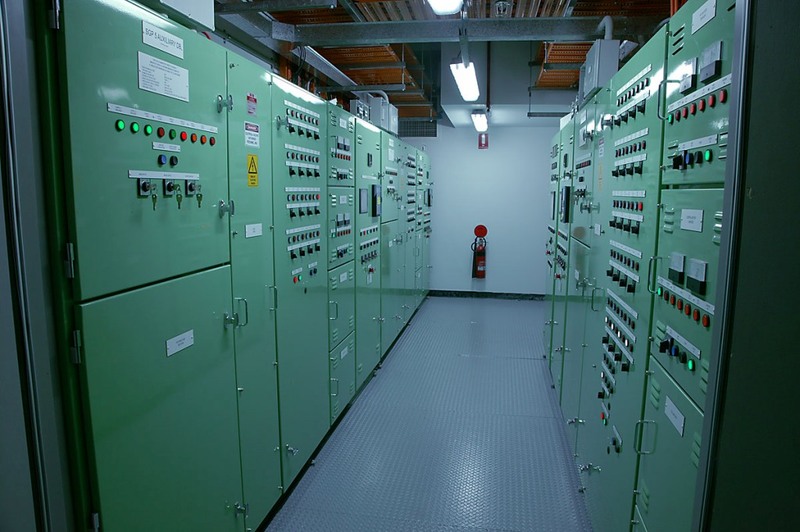 Four 3600 amp supplies from the Ausgrid network to the main switchboards were installed, showing us just how critical electrical energy is in communications, data storage and networking industries in this day and age. With the power consumption being so great and the poor efficiency created from the communications equipment dual 800 amp power factor units working on a master slave arrangement were installed to each of the four main switch boards eliminating the poor use of power from the electronic equipment and at the same time lowering the cost to the customer and easing the burden on the environment by consuming less power through efficient control of the power factor. 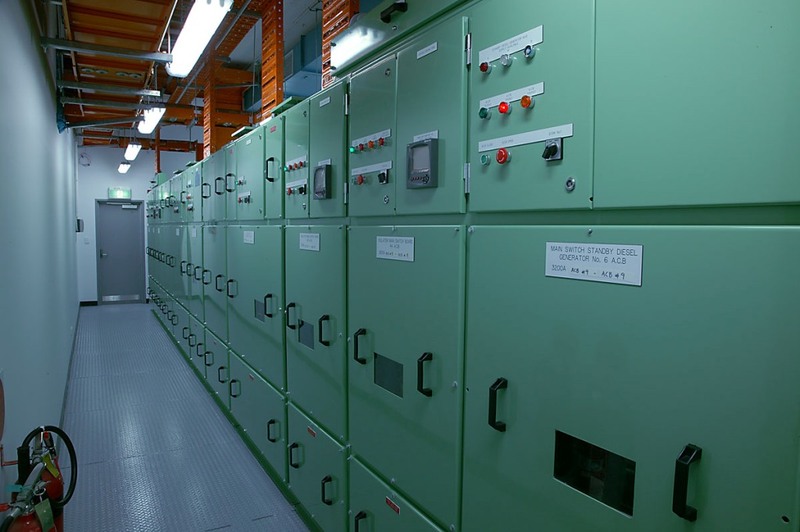 Each main switchboard works operates through a 110 volt dc control circuit supplied by battery chargers with the capability of sustaining each control circuit for an extended period of time in the event of mains failure. 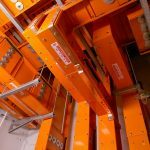 The installation of the busway itself proved to be a challenge but with the engineering capability behind the Ryan Wilks team it appeared to be effortless. 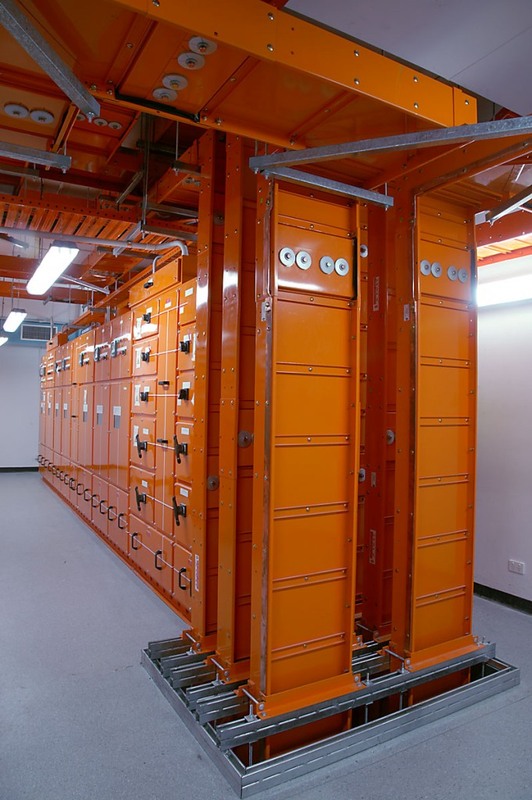 With the busways of varying size and weight that range from 1600 amp to 4000 amp rising through the operational building it was necessary for the building owners to make decisions on where these busways would located. 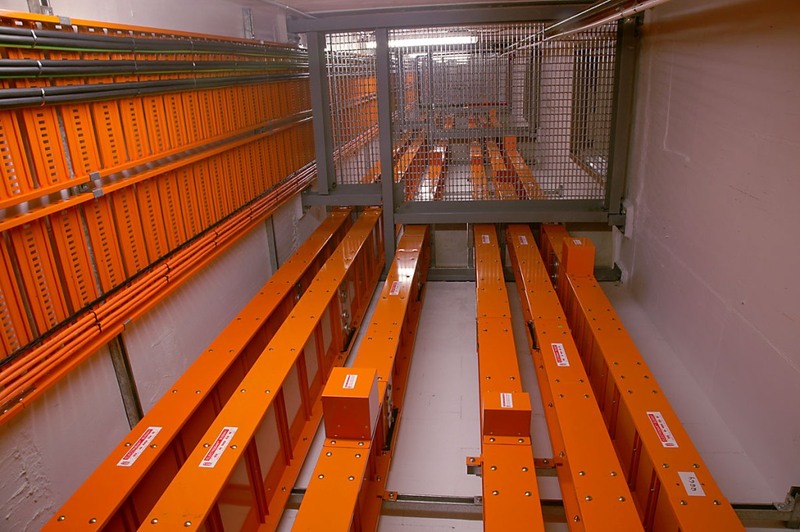 Two existing passenger lifts were transformed into new Electrical Risers dedicated for the new electrical reticulation network. 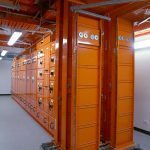 Timing was critical on the project due to the increasing demand for power within the building in a short period of 10 months the building was transformed to have the two complete separate Electrical Reticulation systems. 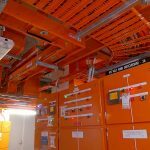 All round the design team and the construction team worked hard to meet this stringent deadline and produce an outstanding installation.